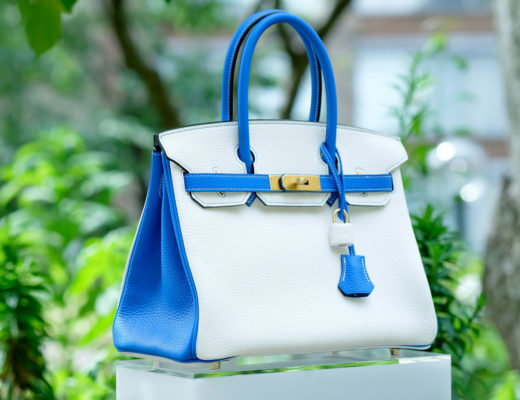 The two most popular bags by Hermes, the Birkin and Kelly bag can look similar at first glance. However, there are a few differences between the two. Both the Birkin and the Kelly are made by hand and crafted by a single skilled artisan, taking anywhere between 18-24 hours to make. One notable difference between the two is that the Birkin is a tote with two handles, and just like a tote, can be carried open. The Kelly only has one handle and should be carried closed, or one risks losing some belongings. Note that neither one of the bags has a long enough handle(s) to be carried over the shoulder, and need to be carried by hand, the crook of the arm, or in the case of the Kelly, with a detachable strap. Both the Kelly and Birkin bag have two straps running across the front flap, held closed by a turn lock. However, the front flap of the Birkin bag has two slits, allowing for the front of the double handles to show through. The Kelly has a straight front flap. While the type of leather dictates the slouch of the bag, the Kelly has a more trapezoidal appearance compared to the Birkin. As you can see in the infographic below, the top of the Birkin bag is rounder, whereas the Kelly is very straight across the top. The Kelly comes in two presentation: Sellier, with sharper edges, and Retourne, a rounder version. In terms of dimensions, the Birkin bag is wider than the Kelly, allowing for more storage room. Prices of both bags vary by leather, color, year produced, etc. Generally, Birkin bags tend to be more expensive than Kelly bags. However, a great advantage to purchasing any of these bags is that they both retain value overtime. The Birkin bag has been dubbed as The Holy Grail handbag, as it’s highly desired and difficult to acquire. 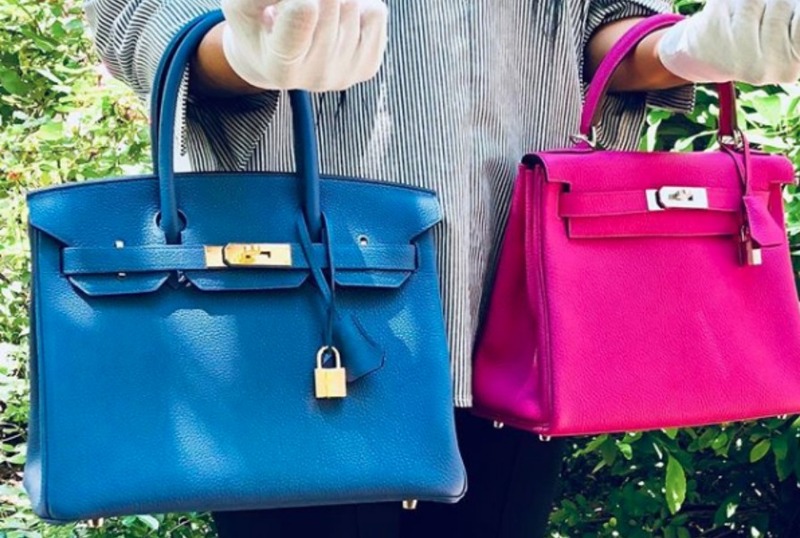 It’s very difficult to purchase a Birkin or Kelly directly from the Hermes boutique, but they can be purchased from trusted sellers at a premium. Take a look at our infographic below to find out more! And remember, whether you’re looking for you dream Birkin or that to-die-for Kelly, you can find a large selection of exclusive Hermès bags and accessories at Madison Avenue Couture. 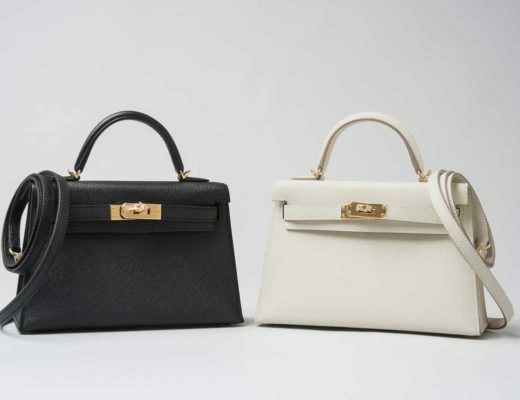 Read: Are you Team Birkin or Team Kelly?